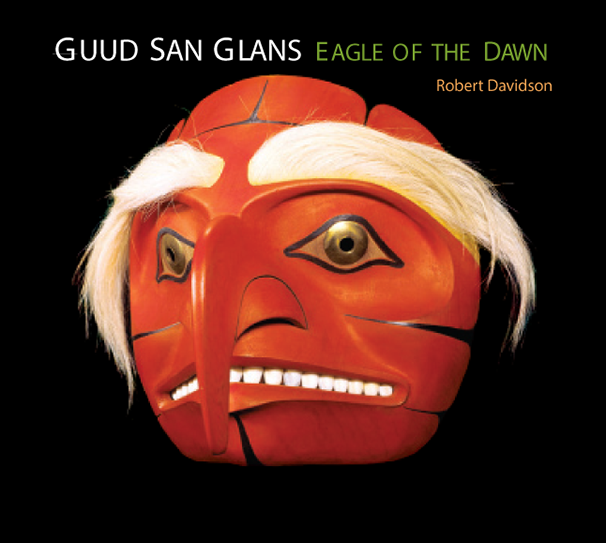 This collection is comprised of contemporary recordings of ancient songs performed by the members of the Haida Gwaii Singers Society; Reg Davidson, Robert Davidson, Guujaaw, Marianne Jones and Terri-Lynn Williams-Davidson.. This contemporary box set includes 5 CD's and a companion booklet of liner notes featuring song translations, cultural context and photos. This set bears witness to the continuing vibrancy of Haida musical traditions as they carry the culture of Haida Gwaii into the next millenium. "Robert Davidson sings with a clear, vibrant voice full of strength and playful energy" - Bruce Ruddell, producer. This CD includes 32 recordings of traditional songs. "Guujaaw is an astonishingly powerful singer and drummer whose intensely dramatic performances transform the listener." - Bruce Ruddell, producer. This CD includes 20 recordings of both traditional and contemporary songs. This 40-page companion book lets you experience Haida songs more deeply. It features introductions and translations for every song on all CDs by the Haida Gwaii Singers, the story of the 'Holders of Songs', insight into the roles of song and dance in Haida culture, and stunning images of Haida art and evocative archival photos that celebrate Haida Gwaii's rich cultural traditions.